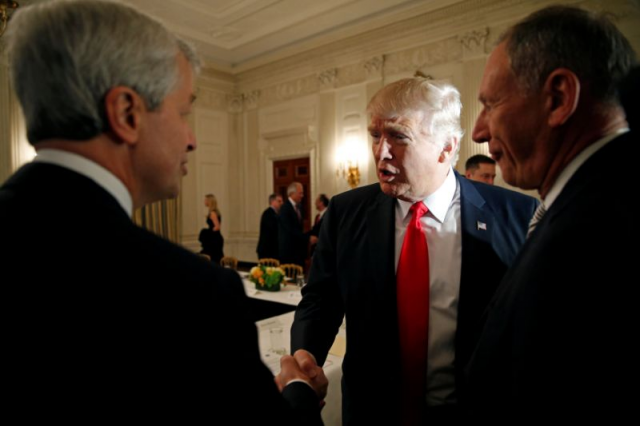 Jamie Dimon thinks he could beat Donald Trump in an election, telling a New York audience “I think I could beat Trump… because I’m as tough as he is, I’m smarter than he is,” adding “I can’t beat the liberal side of the Democratic party,” reports CNBC. Dimon has publicly stated that he wouldn’t run for office, as he’s committed to heading JP Morgan for the next five years. When asked in the past if he would run for President, he says that while he would love to run the country, he could never win an election.